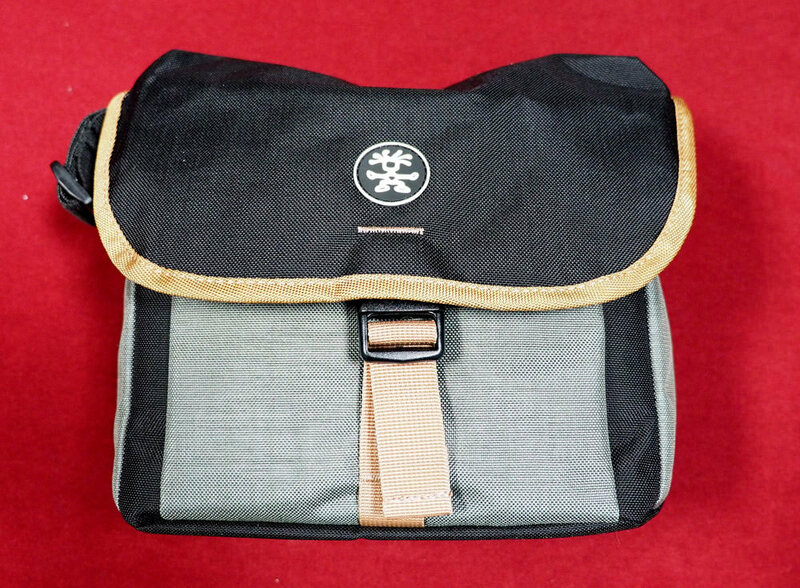 We take a look at the new Proper Roady 2.0 sling camera bag from Crumpler. 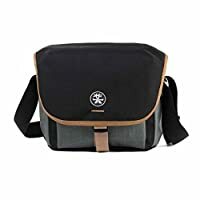 The Crumpler Proper Roady 2.0 Camera Sling 2500 is a small shoulder bag that is capable of holding a mirrorless camera or small DSLR along with a medium lens and accessories. It also has space for an iPad Mini or equivalently sized tablet. The bag is available in 5 different colourways and promises uncompromising build quality. Here, we find out how it performs. The Proper Roady 2.0 Camera Sling 2500 is made from 'Chicken Tex nylon' - a 1000d nylon that has a soft waterproof lining and ripstop structure. It weighs 370g and the 2500 can hold a mirrorless or small DSLR camera with an extra lens as well as a small tablet (iPad mini equivalent) and small accessories. A larger version of the bag, the 4500 is available if you need more space. On test, we have the black/grey bag with tan trim. Inside is a reflective silver lining. On the inside of the outer flap, there's a zipped netted pocket ideal for a memory card bank or small hard drive / portable chargers. The main section has 2 movable dividers that are secured with velcro and have padded folding tops to accommodate for lenses or the camera body. On the back wall, there is a separate padded compartment for the small tablet. 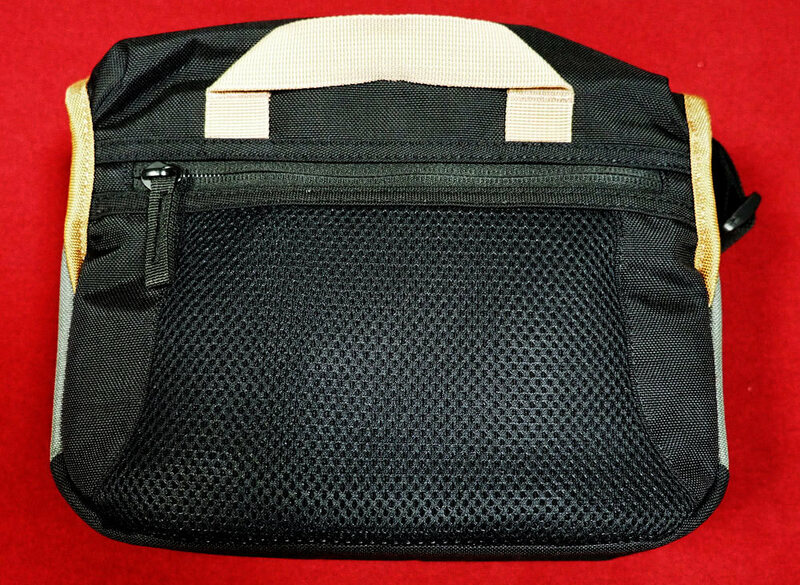 On the front of the main compartment is a pocket with 3 elasticated mesh pockets ideal for smaller accessories. On the back of the bag is a zipped padded storage compartment ideal for small personal items such as a passport and a basic carry handle. 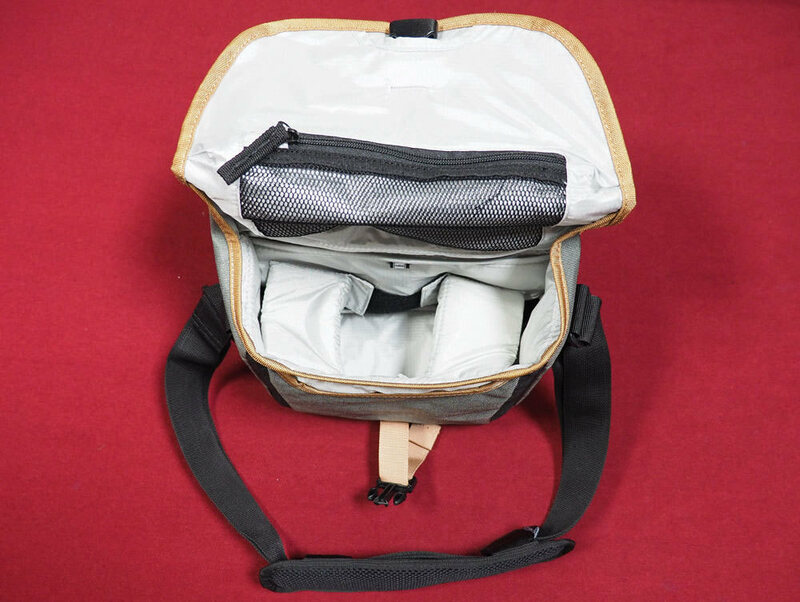 There is an adjustable padded shoulder strap which can be removed. The bag is secured with a plastic clip. Crumpler says that all their bags are handmade and subject to rigorous testing. This has always been part of the brand identity - it was set up by bike messengers who thought that existing bags on the market just weren't tough or well made enough for the job. Here we have a fine example of a well-made bag with all the comfort features you could want in a small messenger. The back padded mesh is breathable and sits nicely on your side or back without causing discomfort, even when loaded with kit. The strap is padded well without being too bulky and allows you to wear it either casually over one shoulder or across the body on longer pursuits. Accessing the bag is simple with the large black clip, and everything is easily accessible. There are no fancy or gimmicky features here - just an honest camera bag that will serve you well on a day trip with your kit. The bag claims to have a waterproof lining but a rain cover may have been a nice touch just to add extra reassurance in a sudden downpour. 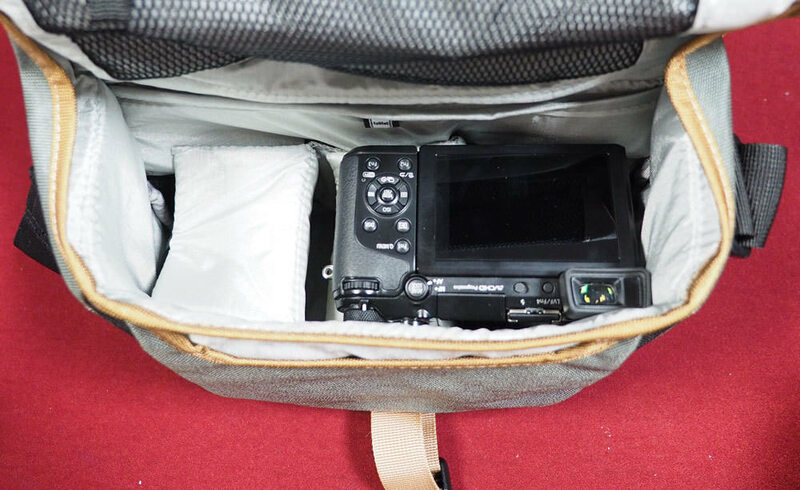 The bag comfortably held a Panasonic Lumix GX7 and extra 14mm wide lens. As you may expect, good quality bags don't come cheap and the RRP for the Proper Roady 2.0 Camera Sling 2500 is £59.90. This is on the high side for a small shoulder bag with rivals available for around the £30 mark. If you're looking for a bag with lots of different features and ways to use it, this one probably won't be for you but if you appreciate a well made and rugged bag which carries your kit and does it well, this is a tried and tested option which won't let you down. A similar sized bag is the Manfrotto Active Shoulder bag 6 which is available for £34.99 from Amazon. It features a rain cover and external side pockets. However, it's only available in black and isn't waterproof without the rain cover. If you just want to carry a camera with lens attached and another accessory, the Vanguard Up-Rise II 22 shoulder bag is worth a look. It's available for £41.82 on Amazon. The Crumpler Proper Roady Camera Sling 2500 is a sleek and practical camera bag with exceptional build quality. 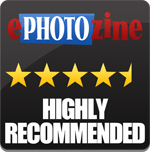 It would be helpful if this review covered how does the flap closure work? No pictures show anything beyond the strap buckle. Also it appears the shoulder strap is sewn into the bag, I personally favor bags that allow you to detach the strap, carry by a lid handle, and attach a better, more comfortable strap like an optech for example. The flap is secured with a durable plastic male/female clip which when undone allows the bag to open as shown in the final image. The shoulder strap is indeed sewn onto the bag in this instance. There is no lid handle but there is a basic carry handle on the back.